Daveswordsofwisdom.com: 12 things your eyes can tell you about your health. 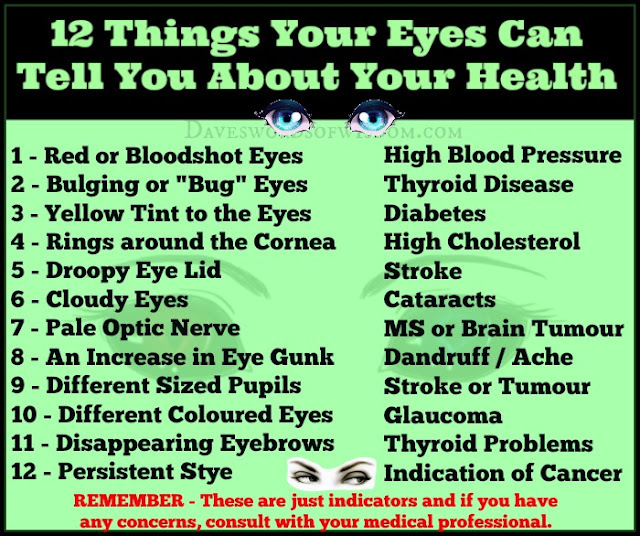 12 things your eyes can tell you about your health. Fear, insecurity is the cause of all anxiety.